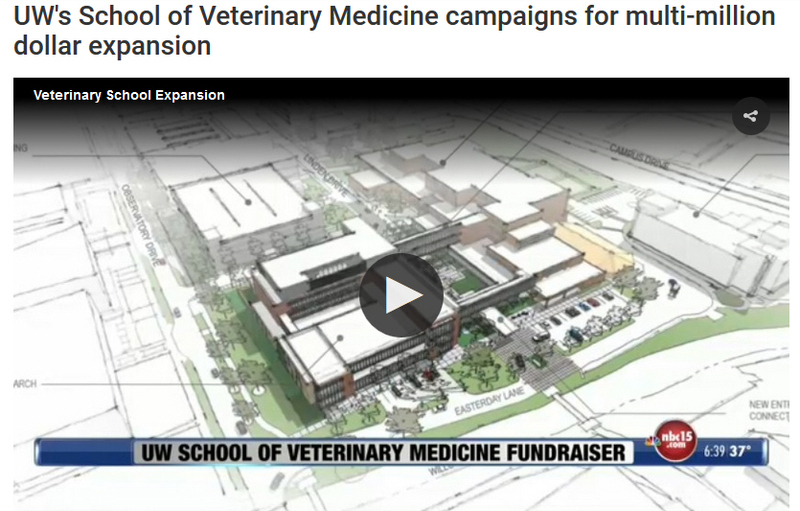 MADISON, Wis.(WMTV)-- The School of Veterinary Medicine said it is still working to fundraise and spread awareness about its Animals Need Heroes Too campaign. Friday's canceled University of Wisconsin-Madison's Spring Football game was a fundraiser for the project. Yes, animals need heroes, but the vet school raising money for more lab space is like Joseph Mengele using the slogan "Children Need Heroes Too." Our Team "The compassion and excellence you’ll find at UW Veterinary Care is fueled by our world-class team of veterinarians, technicians, pharmacists, and staff, working together to deliver the best possible care for all animals." Visitors to that page are invited to get to know the veterinarians. The vet school dean is Mark D. Markel. It seems reasonable to assume that his feelings about and attitude toward animals sets the tone and influences the attitudes and opinions of others at the vet school. Eighteen spayed female adult purpose‐bred hound dogs were used in a block randomized, parallel group study design (treatment n = 12, control n = 6). Briefly, a 1 mm mid‐diaphyseal osteotomy was performed on the right tibia, and the bone was stabilized with an external fixator. 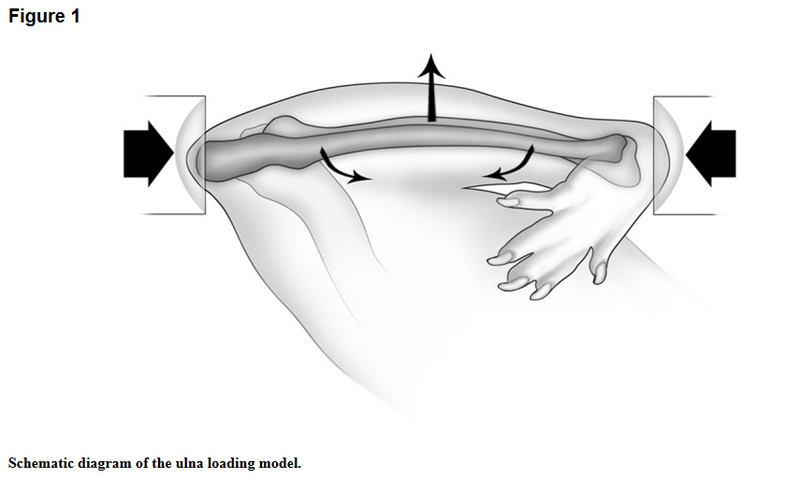 Dogs received a percutaneous injection at the osteotomy site with lovastatin in vehicle (treatment), or vehicle (control) 4 days after surgery. Results were evaluated with serial radiography until bone union. 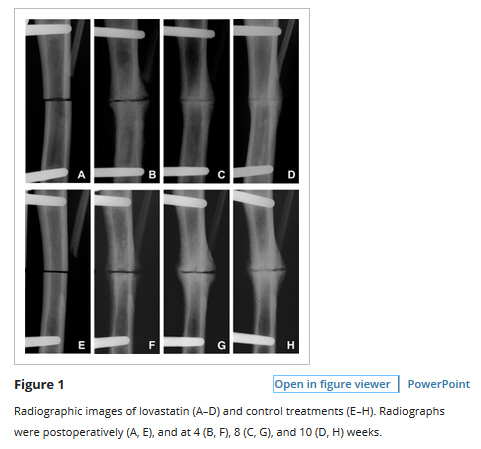 Histologic evaluation of fracture healing and soft tissue inflammation surrounding the osteotomy was performed after sacrifice at 10 weeks postoperatively, except in two control dogs at 11 weeks at time of radiographic bone union. All data were collected and analyzed by personnel who were unaware of treatments. The university animal care and use committee approved all procedures. It is true that the the vet school has helped and probably saved the lives of many animals over the years. But it isn't at all clear to me that good works erase monstrous acts. When Mengele gave candy to some of the children he was using, did it erase or even slightly mitigate his crimes? I knew a dog named Cap who had been used at the vet school for years as a tool for teaching students how to examine a dog. He was a basket of nerves; he was clearly suffering from intense post traumatic stress. Though he recovered somewhat, he was never a normal or happy dog. I doubt that the terrible things being done to animals at the vet school are altogether the result of having a leader who experiments on dogs and kills them. The view that it is just and right to view animals as disposable tools permeates the institution. I mentioned above that the vet school website invites visitors to meet the vets. Let's start our tour here. THE MATERNAL-FETAL INTERFACE IN LISTERIA-INDUCED PREGNANCY LOSS. GOLOS, THADDEUS G. UNIVERSITY OF WISCONSIN-MADISON. 2017 NIAID. $399,347. Total project funding since 2014: $1,597,388. NONHUMAN PRIMATE MODEL TO ASSESS FETAL ZIKA VIRUS INFECTION COMPLICATIONS. GOLOS, THADDEUS G. UNIVERSITY OF WISCONSIN-MADISON 2017 NIAID. $221,550. IMMUNE RESPONSE TO ZIKA INFECTION AT THE PRIMATE MATERNAL-FETAL INTERFACE. GOLOS, THADDEUS G. et al. UNIVERSITY OF WISCONSIN-MADISON 2018 NIAID. $229,500. NONHUMAN PRIMATE MODEL TO ASSESS EMBRYONIC ZIKA VIRUS INFECTION. GOLOS, THADDEUS G. UNIVERSITY OF WISCONSIN-MADISON 2017 NICHD. $191,250. Total project funding since 2016: $420,750. CCR5-MUTANT MONKEY MODEL TO FACILITATE THE DEVELOPMENT OF NOVEL STEM CELL-BASED THERAPIES FOR AIDS. GOLOS, THADDEUS G. et al. UNIVERSITY OF WISCONSIN-MADISON 2018 OD $670,737. Total project funding since 2016: $2,530,877. 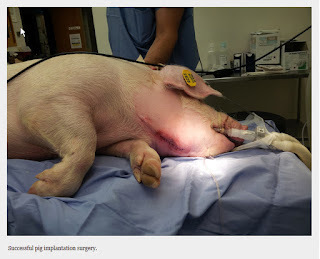 Other than the Lecturers/Instructors, the other 30-ish people, from their publication lists, are all vivisectors, which makes sense since "comparative medicine" is the term of art for vivisection. One of them, James Tracy, was a supporter of hosting the Department of Homeland Security's proposed giant infectious animal disease research facility in the nearby Town of Dunn. He also uses mice and rats with mutations that cause severe disease. According to the vet school, veterinarian Harry Momont "...is currently investigating the use of diagnostic ultrasonography of the male genital tract as a breeding management tool." Veterinarian Garrett Oetzel is an Associate Professor in the Food Animal Production Medicine Section. I'm sure he's filled with compassion. Veterinarian Lennart Backstrom, Professor Emeritus of Large Animal Medicine/Swine, isn't likely to be of much help to the people being targeted in the vet school's Animals Need Heroes Too campaign. Nor is veterinarian William Bosu, a professor whose interest lies in the theriogenology of cows and horses. (Theriogenology is the branch of veterinary medicine concerned with reproduction, including the physiology and pathology of male and female reproductive systems of animals -- WP.) Nor is veterinarian Sheila McGuirk, Professor of Large Animal Internal Medicine and Food Animal Production Medicine. Nor is Kenneth Nordlund or Susan Semrad, both vets working to keep cows healthy enough to be eaten or milked for a few years. I looked at all the details given for all the listed staff of the Medical Sciences division because it seemed the most hopeful one for finding people with a genuine concern for animals, for finding vets who see themselves as animal doctors, whose responsibility is to their patient. Those not named here, seem to be close to that ideal. They publish papers recounting clinical cases and seem uninvolved in the dark side of the vet school's activities. But those people seem to be in the small minority. Moving on to the Department of Pathobiological Sciences, I see names of people I have mentioned in previous posts. I'll just list them here so that those with an interest can search for them in other posts. Thomas Friedrich, Yoshihiro Kawaoka, Eric Sandgren, Timothy Yoshino, Gary Splitter, and Susan West. A fine and representative bunch. None of the others appear to have anything to do with the medical care of companion animals. The Surgical Sciences Department is also filled with people who hurt and kill animals. For instance, veterinarian Dale Bjorling's work is centered around the use of mice and occasionally rats. He was also a university spokesperson when the Alliance for Animals exposed their illegal killing of sheep in decompression experiments. Bjorling was either grossly uniformed or lied when he defended the university's illegal activity. Veterinarian Jason Bleedorn was a coauthor with vet school dean Mark D. Markelon on the paper I mentioned above in which the dogs' leg bones were sawed through and then later killed. Veterinarian Sabrina Brounts points to one of her recent publications: Chamberlain CS, Duenwald-Kuehl SE, Okotie G, Brounts SH, Baer GS, Vanderby R. Temporal healing in rat Achilles tendon: ultrasound correlations Ann Biomed Eng 2012. Veterinarian Rebecca Johnson points to one of her recent publications: Nichols NL, Duncan ID, Punzo AM, Mitchell GS, Johnson RA (2012). Cervical spinal demyelination with ethidium bromide transiently impairs respiratory (phrenic) and forelimb motor behavior in rats. Neuroscience Jan 15; 229: 77-87. To assess the effect of cold storage (CS) on immediate posttransplantation function of renal autografts in cats. ANIMALS 15 healthy 1-year-old cats. PROCEDURES Cats were assigned to 2 groups and underwent autotransplantation of the left kidney followed by nephrectomy of the right kidney.... renal transplantation in cats may serve as a desirable model for investigating the effects of renal transplantation in human patients. As a wound host, we chose male mice that are homozygous for Leprdb. Such db/db mice exhibit an impaired wound-healing response , which increasing the sensitivity of wound-healing assays as well as clinical relevancy. The course of wound healing in these mice mimics that in humans with adult-onset type II diabetes mellitus. Coauthors of the paper, Kathleen M. Guthrie, Leandro Teixeira, Richard R. Dubielzig, and Richard R. Dubielzig are also veterinarians at the vet school. We used fixed optic nerve tissues collected postmortem from cats in a research colony that had been established from a pedigree of cats with spontaneously occurring recessively inherited PCG. 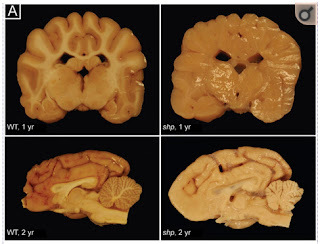 Samples were selected from animals ranging in age from 6 months to 6 years and representing a range of different stages in the progression of disease. Weekly intraocular pressure (IOP) data, as measured by rebound tonometry, were available for all cats in the study. All glaucomatous animals had persistently elevated IOP,... The cup-to-disc ratio cannot be reliably assessed on ophthalmoscopy in cats, but all cats in the former group exhibited abnormalities consistent with glaucoma ... Single optic nerves were selected from normal cats (n = 6) and from cats that demonstrated mild to severe PCG due to a consistent mutation in LTBP2 (n = 9). All procedures were conducted with the approval of the University of Wisconsin-Madison institutional animal care and use committee. Veterinarian Samantha Morello's page says that she has "personal background in the show horse and race horse industry." Those are two industries which generally seem to treat animals very poorly. "We have vast experimental and clinical experience in an array of animal models including mice, rabbits, dogs, sheep, pigs and horses in which have evaluated cartilage, bone, ligament and tendon repair and healing." 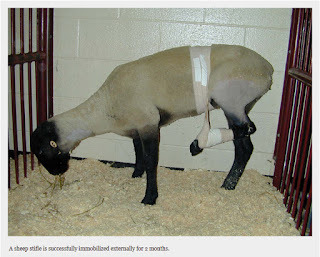 "Chronic and acute osteoarthritis in dog models and acute osteoarthritis in sheep and pony models have been successfully created." "Achilles, patellar tendon, and shoulder rotator cuff repairs have been evaluated in both rabbit and sheep models. 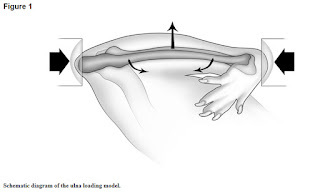 Fracture healing has been also determined in horse models." The lab seems to be doing pretty well financially. Veterinarian Lesley Smith's page says that she is a mover and a shaker. Unfortunately, she seems to be lacking in ... hum, intuition? She says on her page that she has: "Over 35 peer-reviewed journal articles and book chapters published. See pubmed for list." Doing so is predictably unhelpful. Maybe the page is missing a hyperlink. She has to have known that she is not the only L. Smith whose papers are indexed on PubMed. In fact, there are 9,188 papers authors by L. Smiths. There are 139 papers authored by Lesley Smiths. It turns out that she sometime publishes as L.J. Smith, but there are 602 papers authored by L. J. Smiths. But I did locate a few of her papers. One of those is a yet to be cited report titled, Comparison of the effects of alfaxalone and propofol with acepromazine, butorphanol and/or doxapram on laryngeal motion and quality of examination in dogs. [Radkey, D. I., Hardie, R. J., & Smith, L. J. (2018). Comparison of the effects of alfaxalone and propofol with acepromazine, butorphanol and/or doxapram on laryngeal motion and quality of examination in dogs. Veterinary anaesthesia and analgesia.] The abstract notes that they used "Ten female Beagle dogs, aged 11-13 months." Given that beagles are by far the most commonly used dogs in the labs, I suspect that these were not pets. And I found this paper: Epidural Administration of Liposome-Encapsulated Hydromorphone Provides Extended Analgesia in a Rodent Model of Stifle Arthritis. There is, to me, something particularly stomach-tightening about intentionally hurting animals, inducing chronic pain, in order to study pain and analgesia. It seems to me that in most cases some things can be studied ethically only in the course of an effort to help someone. The one exception to this moral baseline is the use of volunteers who have the opportunity to opt out any time they choose. Not all of the vets listed on the department's page provide a sample of their published papers. I did not look for publications from those who didn't, so I don't know what their attitude toward animals might be. It is clear though from my brief review of the veterinarians in the four departments that comprise the School of Veterinary Medicine that the general attitude is that animals are disposable tools whose experiences, whose lives, are of little consequence or concern. The seemingly large majority of the veterinarians associated with the vet school care about animals the way a mechanic might care about your car. They see animals as a means to an ends, or as the property of their actual client, the human who owns them. This attitude makes a mockery, a sick joke, of the school's new fund-raising drive under the banner of Animals Need Heroes Too. I don't think it likely that someone would take their child to a clinic if they knew that the clinic was breeding children with genetic defects for use in terminal sometimes painful experiments. Nor would they take their child to a clinic if they knew that the clinic was buying children to experiment on. It's true that not all the vets at the vet school do these things, but it seems that most do, and those that don't remain quiet about the animals being hurt and killed in their colleagues' labs. I suspect that were the school to get rid of all the vivisectors and hire a few more vets who really do care about animals, that there would be more than adequate space for a public clinic; and if they then ran out of room, I'd be writing here asking people to make a contribution.